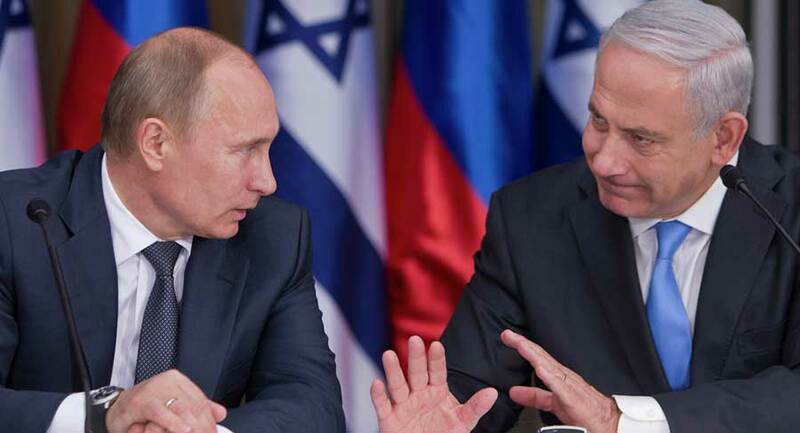 JERUSALEM, Israel (BulgarianMilitary.com) – Israeli Prime Minister Benjamin Netanyahu told Russian President Vladimir Putin that Israel will continue to operate against Iranian targets in Syria. This after a meeting in Moscow on Feb 27, learned BulgarianMilitary.com. The Israeli prime mister was accompanied by Head of Military Intelligence Maj.-Gen. Tamir Hyman. Netanyahu said that intelligence information was presented to Putin, though he gave no details. This information is believed to deal with Iran’s positions inside Syria. This information was backed by satellite images. Netanyahu said that the issue of the S-300 surface –air missiles that the Russians operate in Syria was dealt with at great length and from every possible angle. These missile batteries were transferred to Syria after a Russian aircraft was shot down by Syrian missiles. “Israel will continue to operate as it needs to protect itself from Iranian aggression in Syria,” Netanyahu said. He also said it was made clear that Israel will do this while being in close coordination with the Russians to prevent unnecessary friction and accidents. Netanyahu said that the objective of removing Iranian troops from Syria is not Israel’s alone. In 2018 Israel has performed more than 200 air and missile strikes against Iranian targets in Syria, mainly shipments of rockets and other weapon systems.